My town is a maze of jogging trails, linking each part of the neighborhood to the others. It’s one of the things I love about living here; I’m only a short drive from San Francisco but here it feels like living in the country. A fellow local might correct me by saying that the trails are actually for horses–this is also true, depending on one’s proclivity. This was a former logging town, after all–the horses had first dibs on these old dirt trails. This morning I prioritized a couple of hours for exercise. More often lately, I’ve talked more about working out instead of actually getting one in. On days when I’ve been able to escape the office early I’ve stopped by the waterfront trail nearby for a leisurely four-mile jog before heading home. It’s beautiful, peaceful and the perfect time to re-center mentally during the work week. Cycling is still my activity of choice but since I’ve not been on my bike in weeks (and many months before that) I felt it more realistic to jog one of the neighborhood trails this past weekend. Quite unlike the bright, open space as I jog along the harbor with a view of San Francisco in the distance, my neighborhood route offers a more intimate experience with its canopy of oak trees, countless creeks and a bridge here and there. Beautiful in a different way. Sunglasses and a hat are completely optional because a cool jog in the shade is almost always guaranteed. The trails are marked and really, you can choose a different route everyday for a month without repeating one. Today, I enjoyed my five-mile jog so much that I felt even more energized on the way back than I did starting out. I ran faster on the last two and a half miles, enjoying the steady breathe-in, breathe-out rhythm that I found myself in. Eventually, I slowed down, well aware that enthusiasm exceeded ability but returning home hungry and sweaty paired with an overwhelming feeling of joy and peace from the exhilarating experience made it the perfect morning, indeed. I walked in the house with the most amazing aroma that can only come from something out of the oven. In this case, however, it was a slice of pumpkin cheese bread that my husband had toasted as his post-cycling snack. I’d baked it the night before, after weeks of craving a pumpkin-baked anything. It came out of the oven moist with the mellow flavors of pumpkin and cheese. 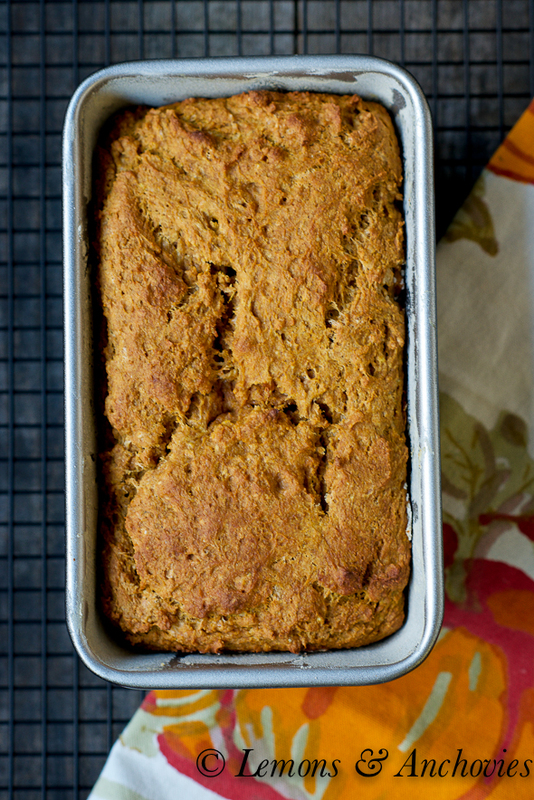 I used my favorite banana bread recipe as a base but I didn’t have big expectations out of this loaf as I made substitutions to make this a whole grain, egg-free, less sugar version. There were more wet ingredients in this loaf than in the banana bread and since spelt flour isn’t as water-soluble as regular all-purpose flour, I wasn’t sure what to expect. As it turned out, I had nothing to worry about. The substitutions worked just fine and the subtle pumpkin/cheese flavors where perfect for our taste buds. 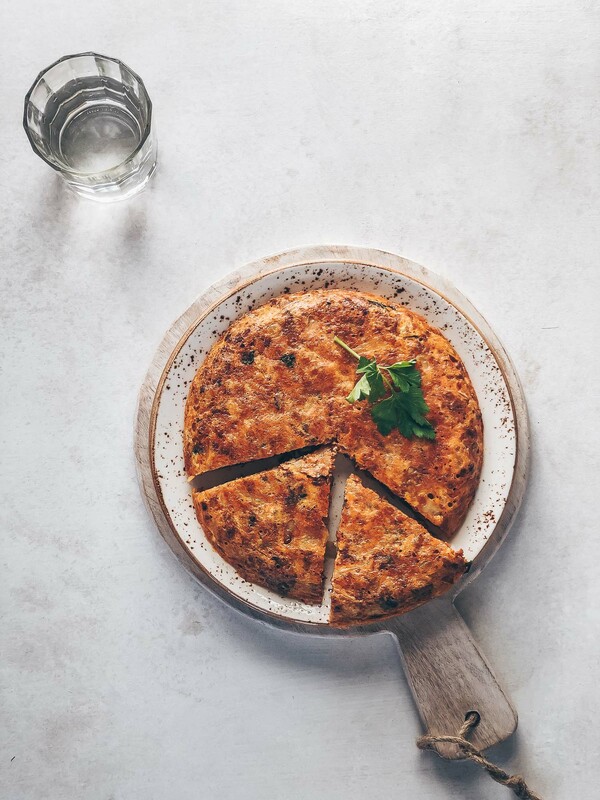 You won’t get overpowering pumpkin or cheese here and that is what I prefer but the recipe is flexible enough for you to add more pumpkin pie spice and cheese if that is your preference. 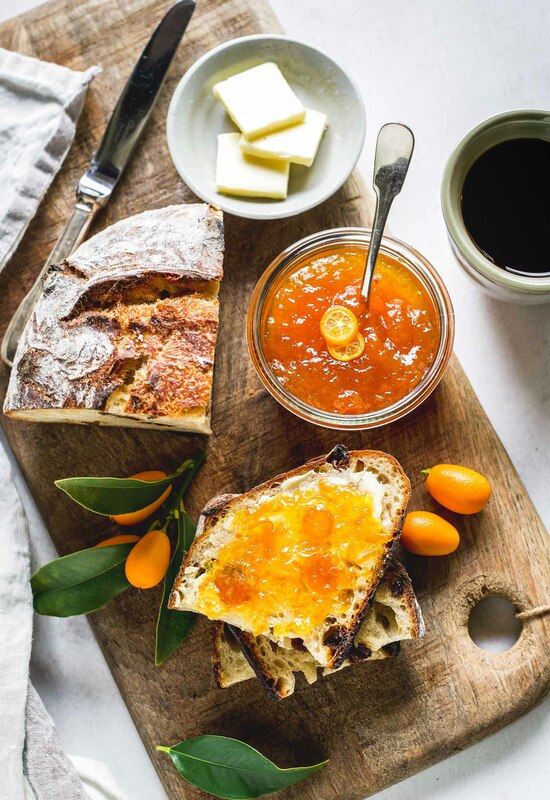 This particular version–because it strikes the perfect balance between sweet and savory–is great for breakfast with a cup of tea slathered with butter and jam and with wine and cheese as an appetizer. 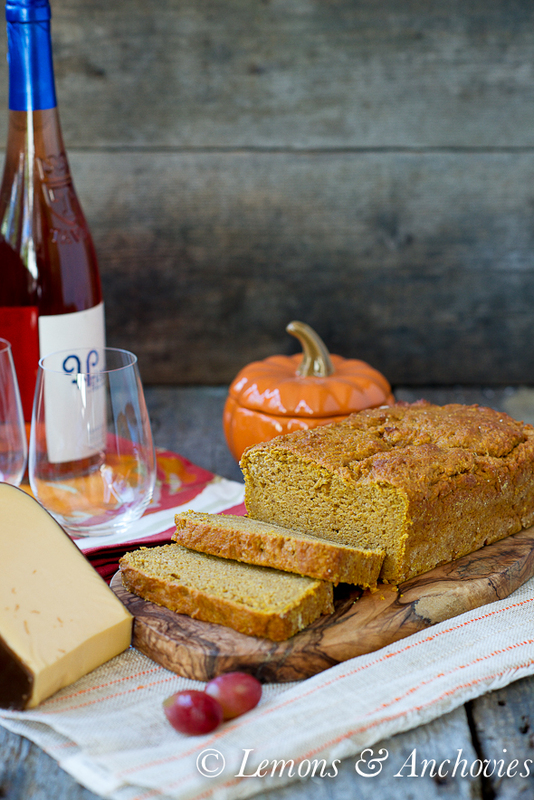 I would even say that this bread is even better toasted the next day so if you’ve been looking for a pumpkin baking project this season, try this one. You won’t be disappointed. This bread, with barely a hint of sweetness, is perfect toasted with jam for breakfast or as an appetizer with wine and cheese. Preheat your oven to 350°F. Grease a 9 x 5 inch loaf pan and dust with flour, tapping out the excess. In a large bowl, whisk all the dry ingredients together, from the flour to the grated cheese. In a smaller bowl, combine the wet ingredients, from the pumpkin to the olive oil. Fold the wet ingredients into the dry ingredients until well-combined. Pour into the prepared loaf pan and bake for 55 minutes (give or take five minutes depending on your oven). Make sure a toothpick inserted into the center of the loaf comes out clean. Cool in the pan on a wire rack. Note: For convection baking, I preheated my oven to 350°F then lowered to 325°F as soon as I placed the pan in the oven. My loaf took 55 minutes to bake. It may take a few minutes longer for non-convection baking. This bread tastes even better toasted the next day--with breakfast or as an appetizer. I love the savory direction you took this bread, what a great appetizer idea! A fabulous bread! Perfect for taking on a picnic or for serving as appetizer. This bread sounds fantastic. I nice change from all of the sweet pumpkin breads that flood my feeds. Pinning! 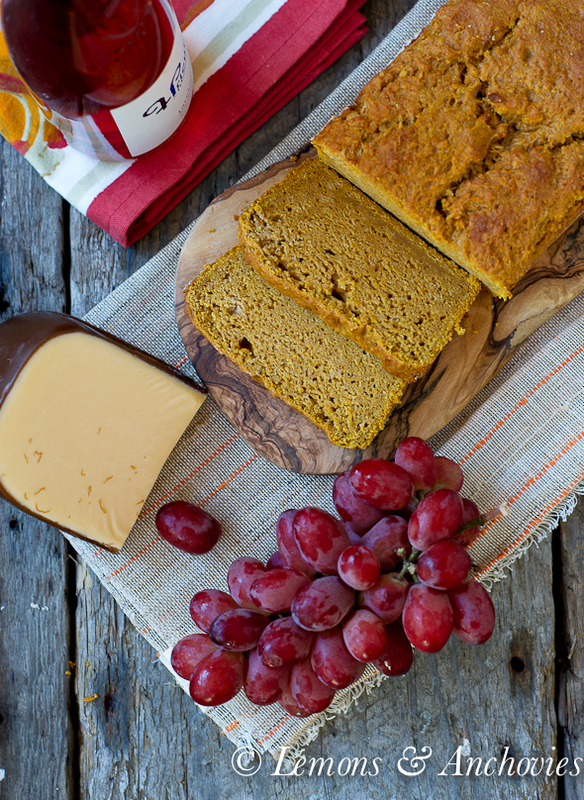 Pure quick bread perfection! Loving this bread! This sounds (and looks) wonderful! My hubby doesn’t care for “sweet” pumpkin-y things, so this is sure to be a hit! Thank you. 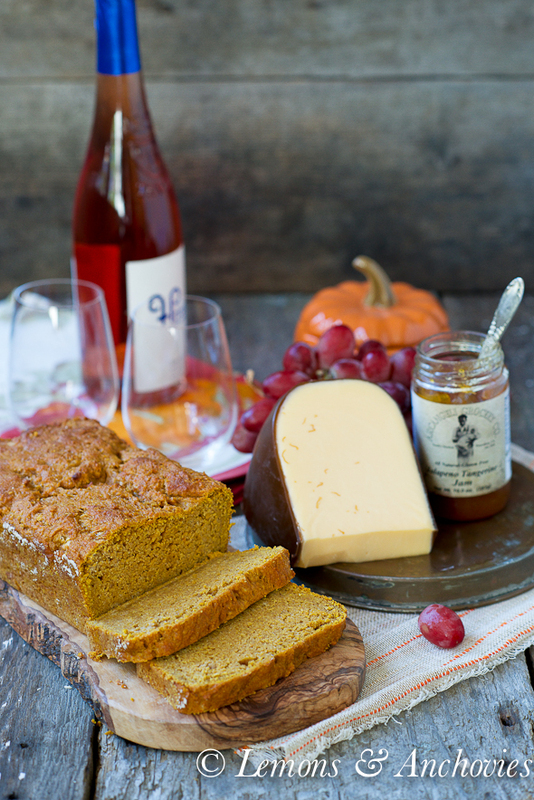 Pumpkin and cheese sounds like a lovely combination. I normally have pumpkin and chocolate, but pumpkin and cheese is definitely a perfect pair. Great bread! Perfect for taking on a picnic or as appetizer. I wish I was able to set aside more time in the morning for exercise before work. I know it would do wonders for me. Pumpkin and cheese? Be still my heart. I just love this combination. I’m sitting here thinking why haven’t I done this yet?? 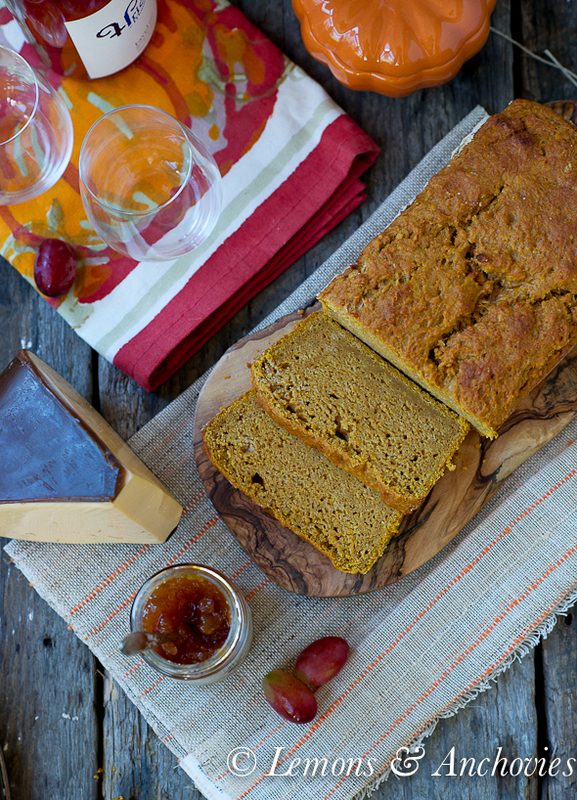 Oh my Jean – love, love this bread! Hubby is crazy about pumpkin and would eat half of this. Hope you are doing well and look forward to seeing you soon!